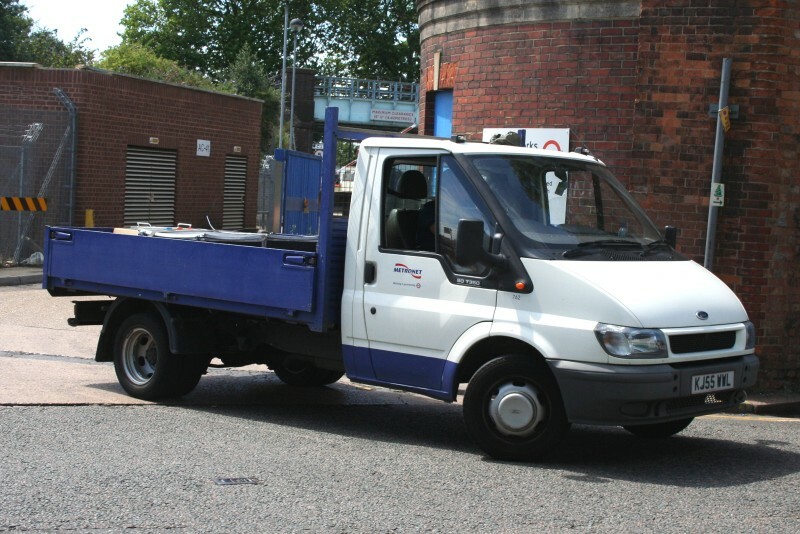 Details: 5762F is a Ford Transit dropside truck of the most basic kind, used by Metronet and seen leaving Acton Works on 30th July 2008. It is notable for having truncated fleet numbers on both sides, showing just 762. This appears to have been the case since new so perhaps the missing letters were never applied in the first place.